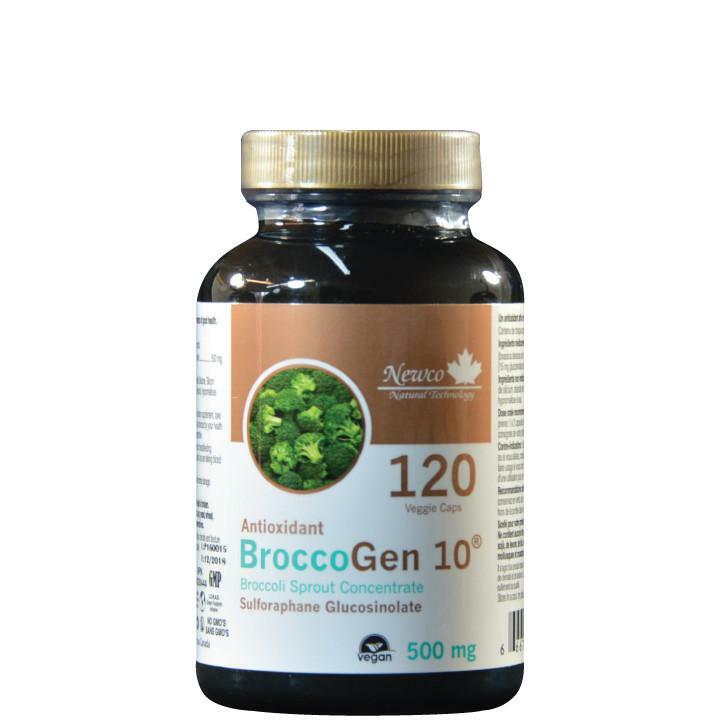 BroccoGen 10 is a powerful total-body wellness supplement. This ground-breaking formula containing broccoli sprout concentrate is so revolutionary that it currently holds 10 patents. Each capsule contains 500mg of brassica sprout powder from broccoli, which yields 15mg of natural sulforaphane glucosinolate per capsule. Sulforaphane increases enzyme activity in the body, which promotes age-defying and anti-inflammatory effects, and is a well-known detoxifier. Sulforaphane from broccoli is also one of the most powerful naturally-occurring activators of Phase II Enzymes that work to strengthen the body’s own natural defense system. These enzymes indirectly act as antioxidants for up to 72 hours, even after the sulforaphane is no longer present in the body. This compound promotes cellular integrity and repairs DNA damage from chemicals, viruses and radiation – some of the main contributing factors to DNA breakdown or carcinogenesis, that often leads to cancer. In addition, sulforaphane fights against H. Pylori, a bacterial strain that is associated with gastritis and peptic ulcers, and whose presence can increase risk of gastric cancers. Caution: Do not use if pregnant or breastfeeding. Consult a healthcare practitioner prior to use if you are taking blood thinners, and for use beyond 2 weeks.